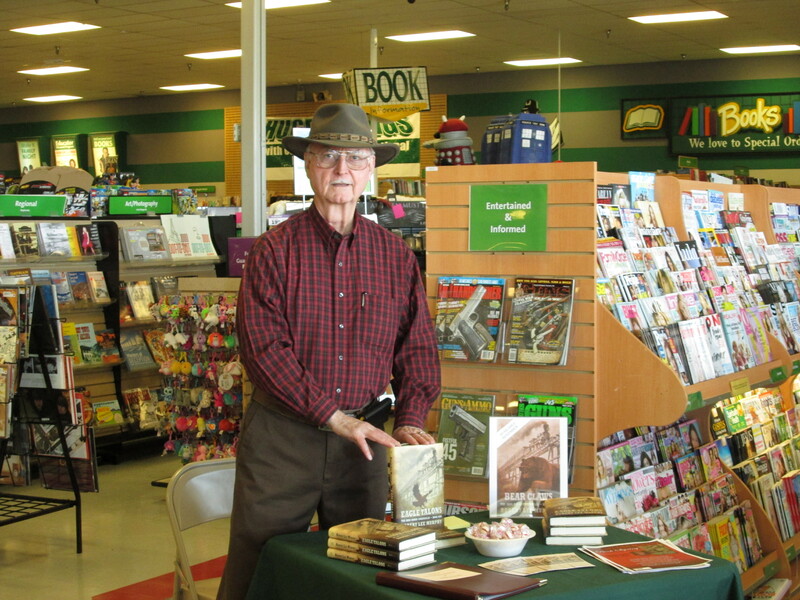 On Tuesday, April 7, 2015, I held a successful book signing for Eagle Talons, The Iron Horse Chronicles–Book One, at the Hastings book store in Bullhead City, Arizona. My wife, Barbara, and I had gone to Laughlin, Nevada, for a short vacation, and I included a little promotional activity while there. Bullhead City and Laughlin are on opposite sides of the Colorado River, about one hundred miles south of Las Vegas. It was a pleasure to be able to discuss my writing with many customers who visited the Hastings store on that day. Potential readers sounded enthusiastic about following the adventures of Will Braddock and learning about the building of the first transcontinental railroad. A couple of truck drivers said they would buy an audio version of Eagle Talons if it becomes available. The book signing for Eagle Talons went so well that I have already made plans to return to Bullhead City sometime after Bear Claws, The Iron Horse Chronicles–Book Two, is published in November, 2015, for a book signing on the second book of the trilogy. This entry was posted in Bear Claws - Book Two, Book Signing, Eagle Talons - Book One, Iron Horse Chronicles' Characters, The Iron Horse Chronicles, Transcontinental Railroad, Writing and tagged Adventure Fiction, Bear Claws, Eagle Talons, Fictional Character, First Transcontinental Railroad, Frontier Fiction, Historical Fiction, Middle Grade Fiction, Pioneer Life, Teen Fiction, The Iron Horse Chronicles, Western Fiction, Will Braddock, Young Adult Fiction, Young Readers. Bookmark the permalink. What can I say? you’re on a winner Robert.